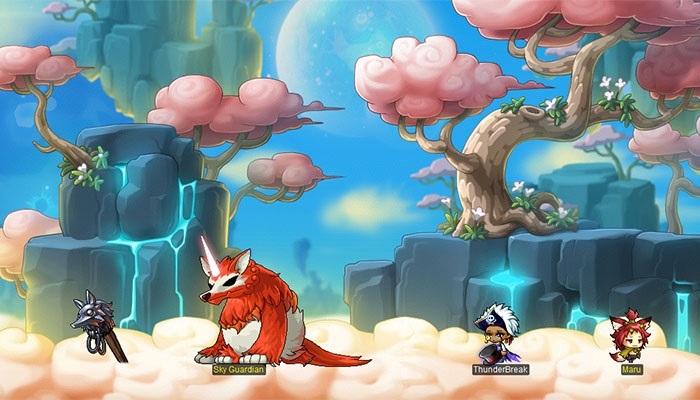 v.195 – Lifestyle of the Pink and Beany Update Preview | Dexless, Maplestory Guides and More! 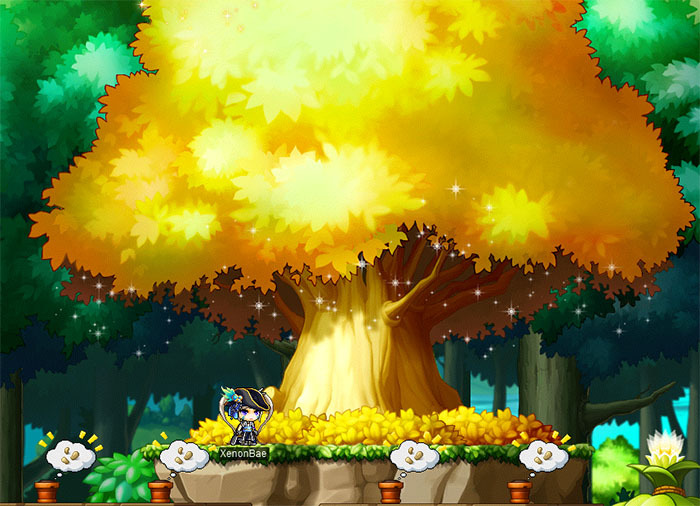 Discussion in 'Maple Updates' started by Nexon, May 2, 2018. 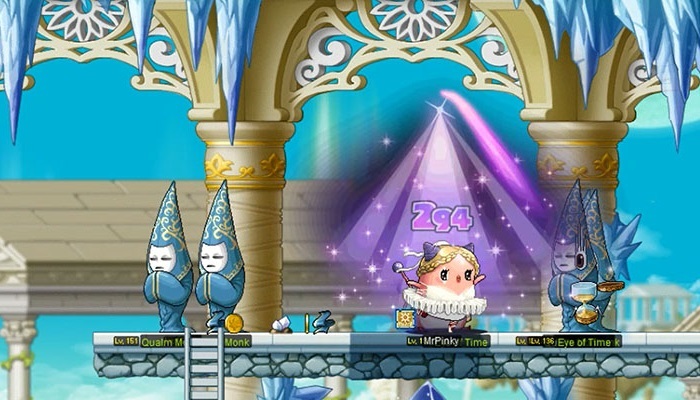 The adorable monster, Pink Bean, returns to Maple World! For a limited time Pink Bean will be available for character creation on all worlds. Become the bean and master unique skills, including the new skill, Pink Bean’s Tutu! 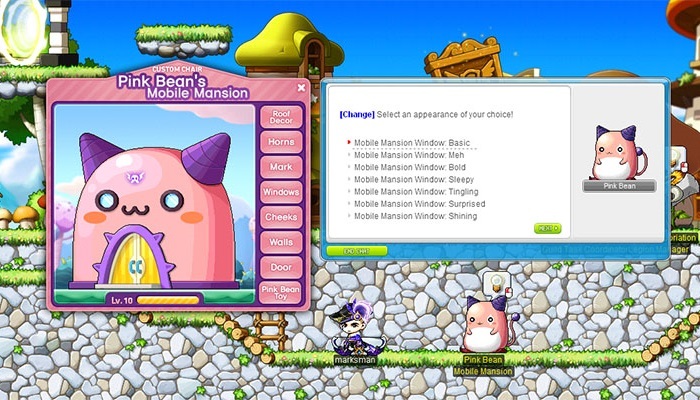 Complete the missions in Pink Bean’s Secret Diary to receive rewards for all your characters, including titles, mounts, and a Squishy Pink Bean Pet. Get your bean to Lv. 100 to receive a special gift box containing a medal, a Pink Bean Transformation Potion and other items! Join Pink Bean in a new event available for everyone, not just Pink Bean characters. Receive a special Mobile Mansion chair that you can upgrade and decorate! Collect Pink Bean Jingles from monsters and use them to level up your chair and unlock new upgrades! As you add walls, doors, and other features, you will complete architectural missions and earn rewards. Show off your house’s style receive items such as Mobile Mansion Label & Chat Rings, and a Pretty Pink Bean Balloon Coupon. Players Lv. 185 and above can explore Fox Valley, a new theme dungeon! Travel to Fox Point Village where you will meet Maru, a spunky kid who’s determined to protect the village. As part of Maru’s club, the Fox Point Rangers, you must save the village and uncover the identity of the mysterious Fox God. Complete the theme dungeon to receive a special Fox Point Ranger medal to show you’ll always be part of Maru’s club. Spring is here, which means it’s a great time to do some gardening! On Halflinger Farms, this means planting Golden Trees. Participate in the event by planting seeds, watering and growing the trees, and harvesting the Golden Leaves. Watch as the trees turn a beautiful shade of gold, signaling it’s time for harvesting! As you progress, you’ll obtain Research Points. Earn gilded rewards including the Golden Tree Chair, Golden Tree Medal, Golden Damage Skin, and more. 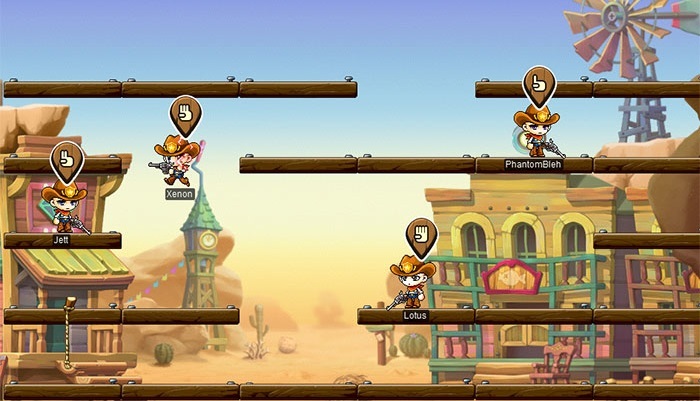 In this new mini-game event, you can join 3 other players for a Western-style shootout. In the event map, each player becomes a gunslinger located on a platform. During the round, you can make one move to a nearby platform. You also select one platform to shoot at and destroy. Once all players have made their selections, the shots are fired in order of player input. If your platform is destroyed, you will fall to the platform below, or if no platform exists, fall to your doom. The goal is to be the last player standing at the end of all the rounds! Earn points based on your skill, and collect special rewards.